The 416 Fire burns Saturday on the south side of the Hermosa Creek drainage past the Hermosa Creek Campgrounds. 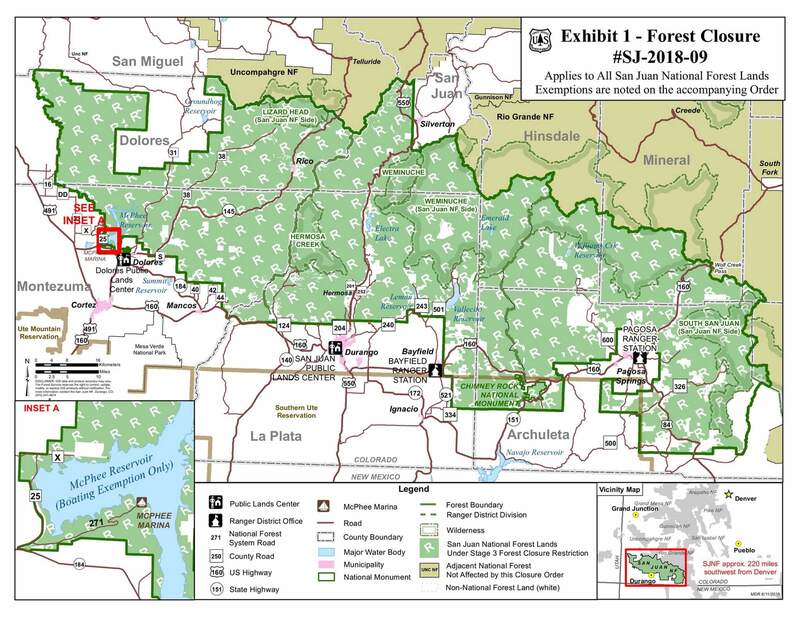 The San Juan National Forest is set to close Tuesday for the first time since the forest was designated a national forest more than a hundred years ago. The San Juan National Forest will be closed indefinitely. 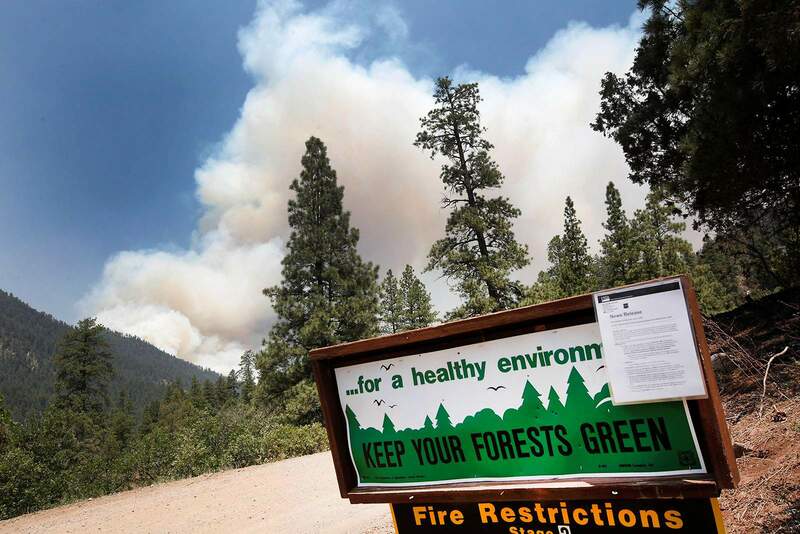 Extreme fire danger conditions, which have resulted in two raging wildfires on the San Juan National Forest, prompted the closure, which prohibits most entry into the forest. As of Monday, the 416 Fire north of Durango has ripped through more than 22,130 acres around the Hermosa Creek drainage, while the Burro Fire has rapidly grown to more than 1,000 acres northeast of Dolores. No causes of the fires have been officially determined as of Monday, Hooley said. The San Juan National Forest covers more than 1.8 million acres across nine counties in Southwest Colorado, with thousands of miles of back roads and hundreds of miles of trails. The closure order, which is enacted through Stage 3 fire restrictions, closes forest campgrounds, day-use areas, roads and trails. Hiking, dispersed camping and other recreational activities are also not allowed. While the two active fires were taken into consideration when opting to close the forest, other factors went into the decision, such as weather conditions, fire fighting resources available and fuel moisture level. Hooley said forest managers are well aware of the impact the closure will have on the community. County and state roads and U.S. highways that cross Forest Service lands will not be affected by this order. Columbine Ranger District: (970) 884-2152. Dolores Ranger District: (970) 882-7296. Pagosa Ranger District: (970) 264-2268. Notably, Lemon Reservoir will be closed, as will Chimney Rock National Monument. Vallecito Reservoir is mostly managed by the Pine River Irrigation District. Calls to the district were not immediately returned Monday. Any Forest Service lands around the lake will be off-limits to the public. The McPhee Recreation Area Complex boat ramp and marina will likely remain open but no shoreline use will be allowed. All Forest Service backroads are closed. As of Monday, Bureau of Land Management and San Juan County backroads, such as the Alpine Loop, were still open. A spokeswoman with the Bureau of Land Management said Monday the BLM will not close lands it manages in Southwest Colorado this week. The BLM enacted Stage 1 fire restrictions on May 1 on lands within the Tres Rios Field Office, Canyons of the Ancients National Monument and portions of the Gunnison Field Office surrounding Silverton. 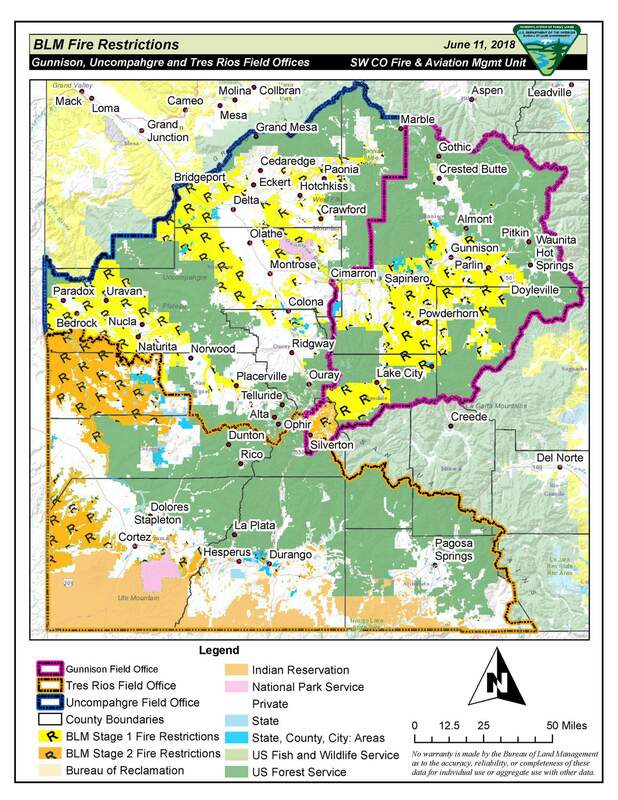 La Plata County will consider Tuesday whether to implement Stage 3 restrictions. A spokeswoman for the county said Monday the details of those restrictions are being worked out. Calls to San Juan County (Colo.) were not immediately returned Monday. The closure of the San Juan National Forest does not affect whether the Durango & Silverton Narrow Gauge Railroad may run again. The railroad suspended service soon after the fire started. While closing Forest Service land isn’t common in Colorado, it does happen with some frequency in Arizona and New Mexico, Hooley said. In May, the 1.6 million acre Santa Fe National Forest was closed because of fire risks. Violators face a mandatory appearance in federal court, and a fine of up to $5,000 for an individual or $10,000 for an organization, or imprisonment of up to six months, or both. Do support the closure of the San Juan National Forest because of extreme fire danger?